Lumberton & Pembroke's Favorite Mexican Restaurant! Welcome to San Jose Mexican Restaurant! We had a really good dinner. Everything was fresh and delicious. The San Jose nachos were get. My family also had two different kinds of frajittas.Both really good. And the Mexican banana dessert was actually a plantain- so good! Had the beef burrito, it was beefalicious! Who ever in this town is giving the chain fast food places better reviews than the gems I found is thinking with their ball bag and not their head!!! Gah-day-um! Came back for dinner!!! That is some for reals mexicana! Got me a California burrito! Wowza! I don't know who's the chef, but he for the reals! I hope Trump don't deport who ever is cooking back there. He's awesome! A great Mexican meal with a diverse menu from fajitas to pasta to steak. There is something for everyone even if they don't enjoy Mexican food. San Jose offers a laid back and festive atmosphere. Let's face it all Mexican places have the same menu. San Jose stands out for their great service and outstanding Dos Equs beer. Make mine a tall boy! 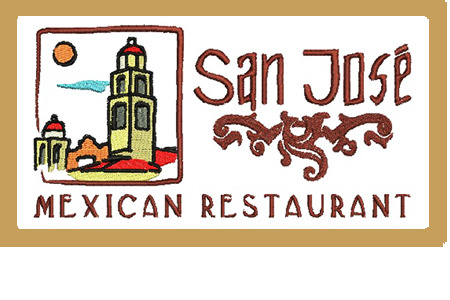 I have been going to San Jose for over 10 years and the food and service has always been great. As the BBQ places were all shut down for the day here at 930 PM I decided to try this Mexican place. Was not disappointing. Had a dish called "Steak Chipotle" . The meat was not the greatest cut but the sauce on this was really good along with the vegetables. Reminded me sort of Thai like with a slight kick to it. Usually in these places the refried beans and rice take up most of the plate but this was not the case here. Also really good sweat tea but that comes with the geography! Complimentary chips and salsa were good as well. Slim pickings for eats in Pembroke NC. This was a nice find. The food was really good. We were in the mood for a few margaritas, but were served drinks from a pre mix. Went here for lunch. Similar menu to other San Jose restaurants in other parts of the state. Lunch specials on menu provide a good selection to choose from. Lunch fajitas were good and food arrived hot. Always worth the trip! I was by myself. Ordered a lunch special of Arroz Con Pollo. Best I have ever eaten! Just rice, chicken & cheeses but quite tasty! Started off with chips (way too many for 1 person) & their signature salsa & the waitress asked me if I would like a mild salsa as well. And I said yes and she brought it and I ended up enjoying that better than the hotter flavored salsa although there was nothing wrong with the hot sauce....no complaints here. Definitely would eat here again. Highly recommend! I'm studying close by so I stop just to inspect. Ended up lunching and it was perfect. Specifically the tacos! Check out our menu online, and stop by for a meal you won’t forget. We look forward to serving you.